Safes are recommended for securing cash – valuables – documents against theft / fire and water damage. 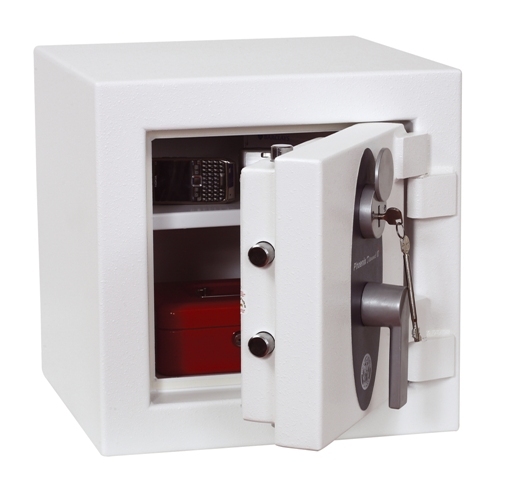 Safes can be specific to theft or fire but can offer both forms of protection. The level of protection is determined by the grade of the safe and insurance rating. There are many types of safes available on the market which you can see on the website www.safesdirect2u.ie, which is a subsidiary of Expert Security Ltd.
Security safes can be underfloor, wall fitted, or free standing which is the most common. 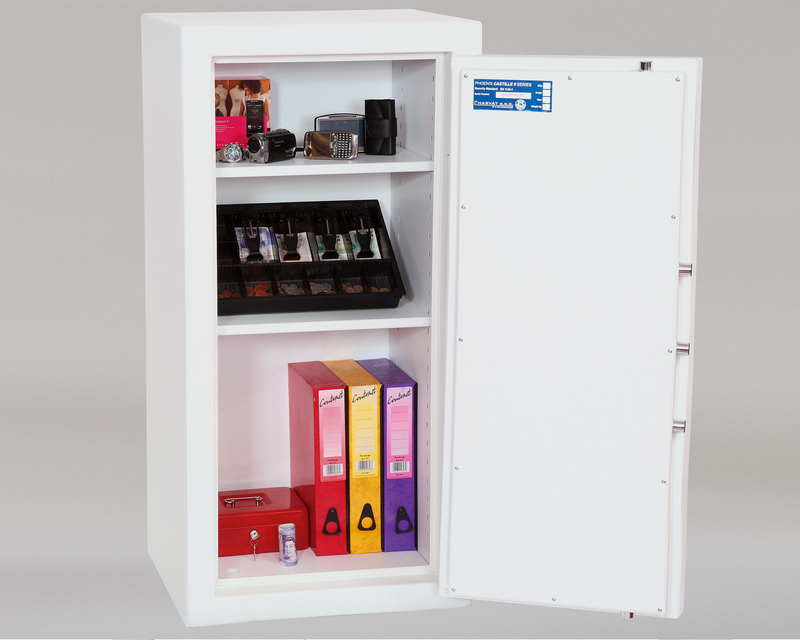 Free standing safes are available in many different sizes, depending on the requirements and the volume capacity that you require to secure all your valuables. Safes are graded for insurance purposes for securing cash and valuables (notably jewellery). The higher the grade – the more you are covered for in the event of theft or fire. There are different means of depositing and securing money and valuables especially for commercial applications which have different requirements for staff usage and for those where it is impractical to give keys out. 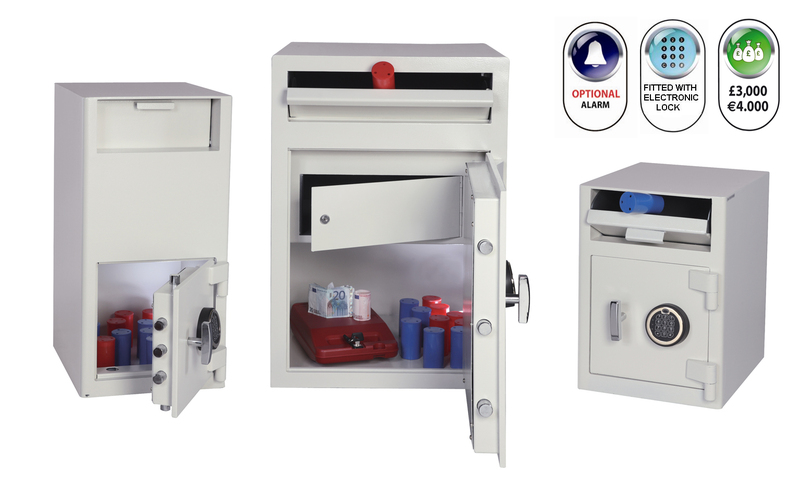 Coffer – Internal secure compartment within the safe for management use only. Free Standing Safes are made of very heavy material and should be bolted to the floor to provide a very high level of protection. High security safes have added protection against drilling and explosive attacks. Fire Proof Safes, Cabinets and Cupboards although not as secure as security safes are designed to offer higher protection against fire and smoke damage. These are more suitable for the protection of documents, files and data discs. They offer protection from 30 minutes upwards and are regulated by grading standards similar to security safes. Fire protection is offered for small data safes and large filing cabinets. Fire safes can be secured by key, combination and digital locking depending on the requirement. Do you need security, fire resistance or both? What value needs to be protected? Is fire resistance needed as well? Does the safe need bolting down? Lock Option – Key or electronic? Which is most suitable – a safe, cupboard or filing cabinet? Are you securing paper or data discs? How many fire hours resistance is needed? How much storage space is required inside the safe?